Projects in construction field always have a lot of shapes and different targets which have a specific order must be respected. Critical targets must be accomplished on its time or it will cause a delay to all targets depends on them. If you use this construction project template you will able to track all of the project targets and its progress. 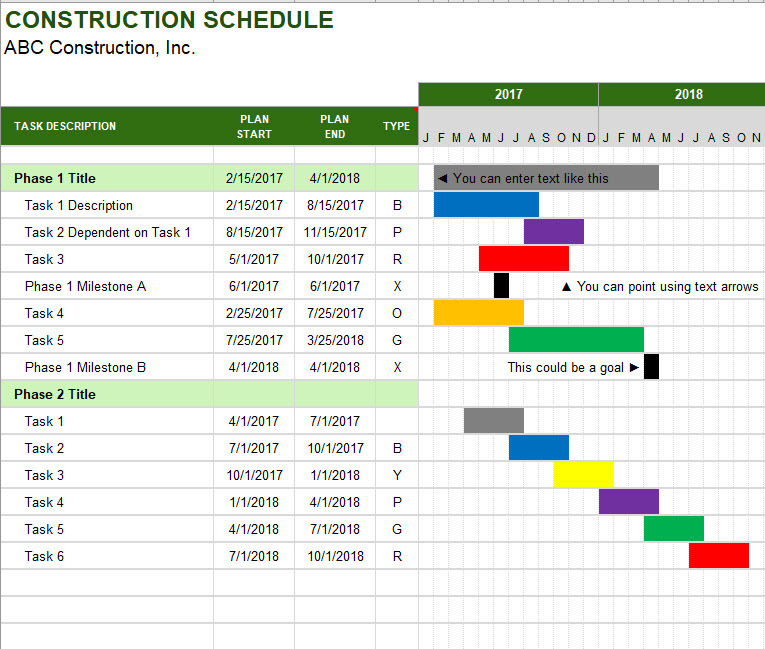 With this template you can list different tasks on your project and track the start and end time for activities.